Fundraising is an integral part of every non-profit society. In order to maintain reasonable fees, the Valley Royals Track & Field Club must ensure that substantial amounts are raised through fundraising. Individual members are expected to fundraise but the amount they raise is up to them. No minimum is required but there are lots of good opportunities and reasons for us to fundraise to save money on entry fees and to help our club so that we can continue to develop the talents and skills of our athletes. Fundraising opportunities happen throughout the year and include, but are not limited to, Chocolate sales, Neufeld Farms frozen food, Bottle drives, Blueberry Picking, and a Silent Auction at the Year-End Banquet, but the fastest way to fundraise is… to get a Sponsorship for the club! We need many volunteers to put together different Fundraisers for the Club so this is also a great opportunity to get your Volunteer Hours and help the club members to fundraise at the same time. All Club Members are welcome to bring their creative ideas to the Board for approval to do a small scale “Benefit” for the club and get personal credit for toward their fundraising requirement. An example of this is the Wright Family’s Sports Tag Benefit for the Club (which works well on a small scale but isn’t big enough to be a club-wide fundraiser). Perhaps you have a talent for Baking or Card Making or maybe you love to do a Lemonade Stand on a hot day. Why not do it as a Benefit for the Valley Royals? The club’s social media could help you to get the word out so that our members can support your efforts and everyone wins! FUNDRAISING BUILDS TEAM SPIRIT AND COMMUNITY! Fundraisers can be a great way to get to know other athletes and their families. Any kind of fundraiser can get us working together and some are ideal for socializing such as a Burger & Brew night, Blueberry Picking or a Multi-Family Garage Sale. Even regular Fundraisers like selling Neufeld Farms frozen food, chocolate bars, or hanging baskets get us working together and that’s great for building community! 50% of all the profit that an athlete fundraises is tracked by Christa as a Fundraising Credit and, at the end of each season (such as the Track & Field Season or the Fall/Cross Country Season), this credit can be used to help pay Entry Fees for races or events that the athlete entered over the season. Fundraising credits are calculated on the calendar year and cannot be carried forward from one year to the next. However, credits can be used toward the following year’s Membership in the Valley Royals as long as the athlete registers before their credits expire on December 31st 2017. WHAT HAPPENS TO THE OTHER 50% OF THE PROFIT THAT AN ATHLETE FUNDRAISES? The other 50% goes to the Club’s general fund to help pay coaches their honorariums, buy new equipment, pay for costs associated with holding events, pay for awards & prizes and help the Valley Royals to create a new Athlete Support Fund so that we can help with some of the extra costs faced by Valley Royals Athletes who compete at the National and International Level. WHY DO WE SPECIFY “PROFIT” IN OUR FUNDRAISING REQUIREMENTS? Some Fundraisers, such as the Silent Auction or getting a Club Sponsorship, have a clear-cut dollar value that is earned but other fundraisers such as chocolate bar sales have a cost for the product which must be deducted from the total sales to find the profit margin which is the actual dollar value that has been earned. For Example: If an athlete sells a case of chocolate bars for $30 but the case cost the club $10 then the PROFIT that the athlete has made for the club is $20. This $20 value will be counted toward the athlete’s fundraising total for the year. Fundraising profit is split 50/50 with the Club. So, in this case, the club gets $10 and the athlete gets $10 in fundraising credits added to their Credit Total which they can use to pay entry fees. 50% of all the profit that an athlete fundraises is tracked by our Club Administrator as a “Fundraising Credit” which can be used to help pay all of the Event Entry Fees that the Athlete has accumulated over the season (Billing for Entry Fees happens at the end of the Track & Field Season and the end of the Fall/Cross Country Season). General Entry Fees to Races and Event are not included in Membership Fees for the Valley Royals. Entry fees will be tracked and charged at the end of each season, on an individual basis, based on the various events and races the athlete entered during the season (this includes missed events). However, athletes can cover the cost of most of their entry fees just by Fundraising for the Club and then paying their fees with their credits. Both Fundraising Credits and Entry Fees are tracked by Christa, our club Administrator. 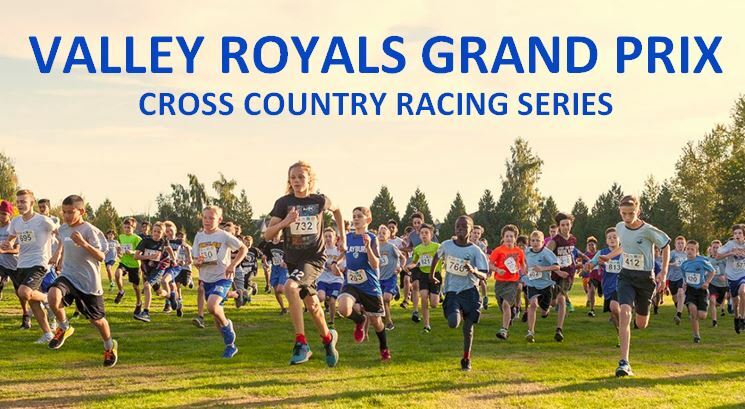 The Club will also pay the Entry Fee for an athlete’s Age-Level Race at the BC Cross Country Championships (BC Athletics). The Club pays Entry Fees for Club Members while they are attending University or College. These athletes are in an intense time of life in which heavy financial and academic burdens have been placed on them. They are often elite athletes who are working hard to compete at a very high level and have spent years giving their volunteer time and fundraising to help our club. Volunteer time is tracked by our Club Administrator, Christa McAuley [email protected] so be sure to email her let her know how you have volunteered in the club and the number of hours you have served. Can you organize a Fundraiser? How about photographing athletes at Meets? Do you have a knack for numbers and finances? Do you need an at-home volunteer job like addressing envelopes? Email Christa and she will make sure you get scheduled. A $200 cheque post-dated for December 15th 2017 will be required as a deposit and will not be cashed if the volunteer time is fulfilled within the calendar year. This is a flat rate for all athletes regardless of the registration package they choose. To be considered from the same family, athletes must have the same parents/guardians and must be registered together online in one transaction.